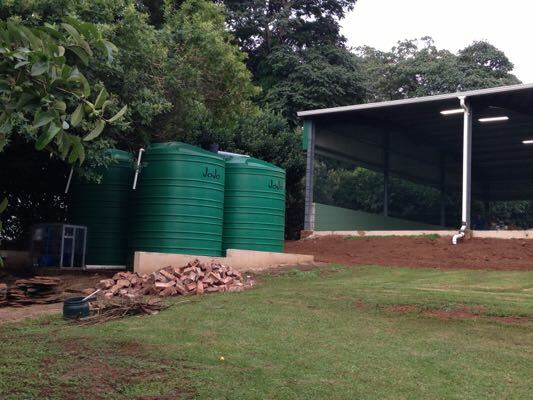 Use-Rainwater designed and installed a potable rainwater harvesting system for a tennis academy in Durban. 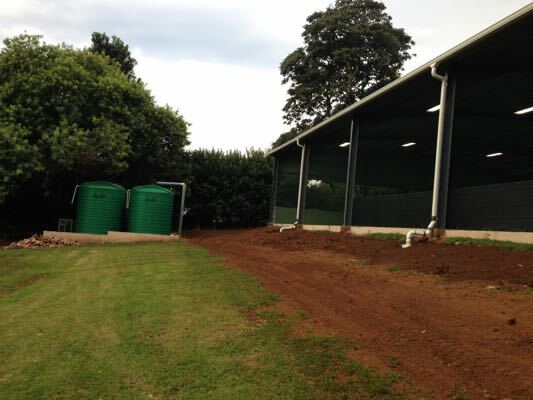 The design required a 40000l rainwater harvesting system instead of installing a 15000l soak pit as was required by the Durban Metro.Tennis Plus is the first Tennis academy in South Africa that has built a private indoor tennis court. The court is covered by approximately 660sqm of corrugated roof. Tizagenix designed and installed a system that utilizes the 660 sqm roof and captures rainwater from the roof surface. Rainwater is channeled from the gutter into an underground header network of pipes that directs the water to four 10000 liter storage tanks. 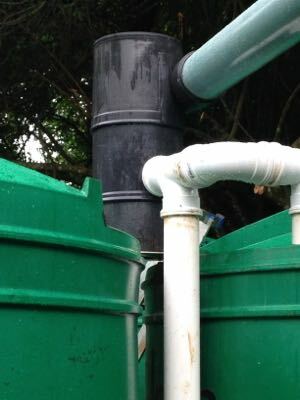 Prior to entering the tanks the water is filtered in a 28 micron vortex filter and about 350l of water in flushed away in the first flush system before clean rainwater starts entering the storage tanks. With an average annual rainfall of 1100mm this system will harvest approximately 750000l of rainwater water per annum. From the storage tank the water is processed and purified under pressure through a use-rainwater Deluxe filtration and purification system, basically replacing municipal water on the property. The system has also been designed as a backup water system – the storage tanks will always contain a minimum of 5000l of municipal or rainwater. Thus any interruption in the municipal supply will not affect the property. A backflow prevention valve system prevents any purified rainwater from being pumped into the municipal supply network.